The Supreme Court of India has rejected transfer plea of the Department of Telecom (DoT) with regards to the one time spectrum fee. However, a bench headed by Chief Justice HL Dattu dismissed as withdrawn the batch of government’s transfer pleas. “The telecom companies have filed petitions in different HCs “as a delaying tactic” and it is “nothing but an exercise of forum shopping in order to avoid the payment of one time spectrum charges,” DoT said in its petitions before SCI. Solicitor general Ranjit Kumar argued that the question of law in all the petitions is “identical” and “if these petitions are not heard together, it will lead to a multiplicity of litigation and decision on the same issue across various forums and the various High Courts and the TDSAT could render contrary decisions.” However, the DoT had issued orders regarding charging of one-time spectrum charge on December 28, 2012 and March 15, 2013 to various operators, including Bharti Airtel, Vodafone, Idea Cellular, RCom, Aircel, BSNL, MTNL and Tata Teleservices. Then Union government in 2012 decided operators should pay for holding spectrum above 6.2 MHz retrospectively, from July 2008 to January 1, 2013, based on market-determined price decided in the auction. 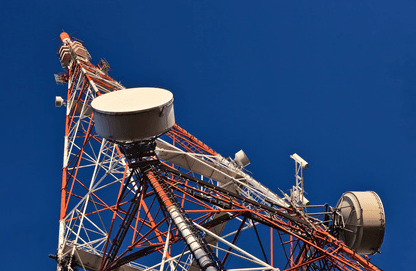 The Department of Telecom (DoT) had issued a demand of Rs 5,201.24 crore for Bharti Airtel, Rs 3,599.40 crore for Vodafone, Rs 1,882 crore for Idea Cellular, Rs 1,351.51 crore for Aircel, Rs 305.11 crore for Reliance Communications and Rs 173.47 for Reliance Telecom. The Department had also issued demand of Rs 6,911.86 crore for BSNL, Rs 3,205.71 crore for MTNL, Rs 232.29 crore for Tata Teleservices and Rs 606.72 crore for BPL. According to sources, DoT is of the view that nothing has moved since interim stay granted by high courts and the matters are pending before the various high courts as a “regular matter”. The source added that as the matter involved government revenue to the tune of thousands of crores of rupees and every effort needs to be made for speedily disposal of the pending petitions in order to avoid huge loss to the public exchequer. According to this calculation, state-owned Bharat Sanchar Nigam Ltd had to pay Rs 6,912 crore, Bharti Airtel Rs 5,201 crore, Vodafone Rs 3,599 crore, Mahanagar Telecom NIgam Ltd Rs 3,205 crore, Idea Cellular Rs 2,113 crore, Aircel Rs 1,365 crore, Loop Mobile Rs 606 crore, and Reliance Communications Rs 173 crore. Lastly, Bharti Airtel, Idea and Tata Teleservices Maharashtra had approached the Bombay High Court, Aircel Cellular, Aircel and Dishnet Wireless had moved the Madras High Court and Reliance Telecom, Tata Tele and Reliance Communication had approached the Calcutta High Court.